This was truly a monumental ground-breaking project which set new benchmarks at nearly every single level. 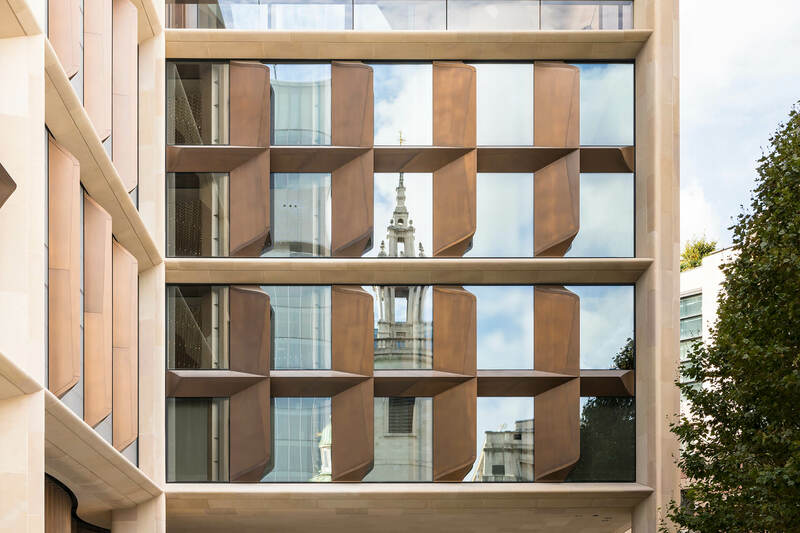 Not only were Grants required to design, what we named the ’Hybrid façade solution’, being a combination of precast concrete, structural steel and conventional handset stonework integrated into a prefabricated façade system. The façade involved large format Sandstone prefabricated beams and columns along with solid 2m * 2m stone cruciform at the intersecting node points. In addition to the beams and columns we designed, supplied and installed approx. 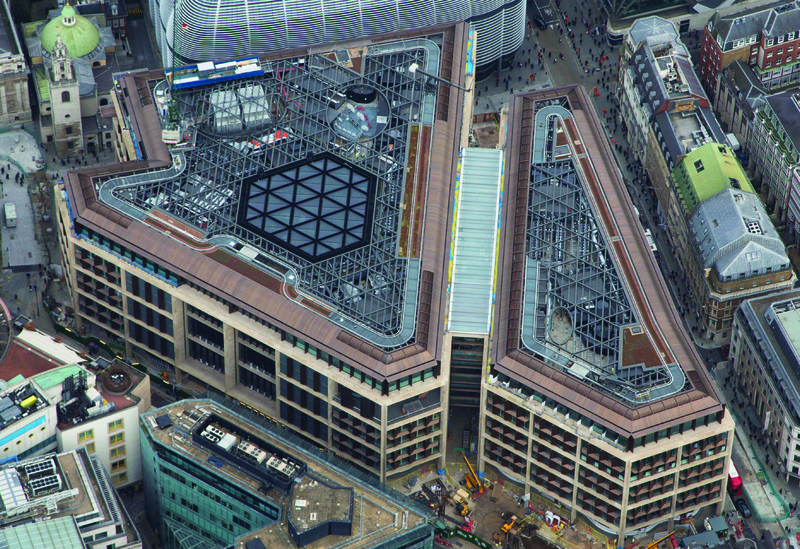 3500m2 of sandstone faced honeycomb soffits and over 10,000m2 of internal sandstone cladding and 5,000m2 of Granite paving. 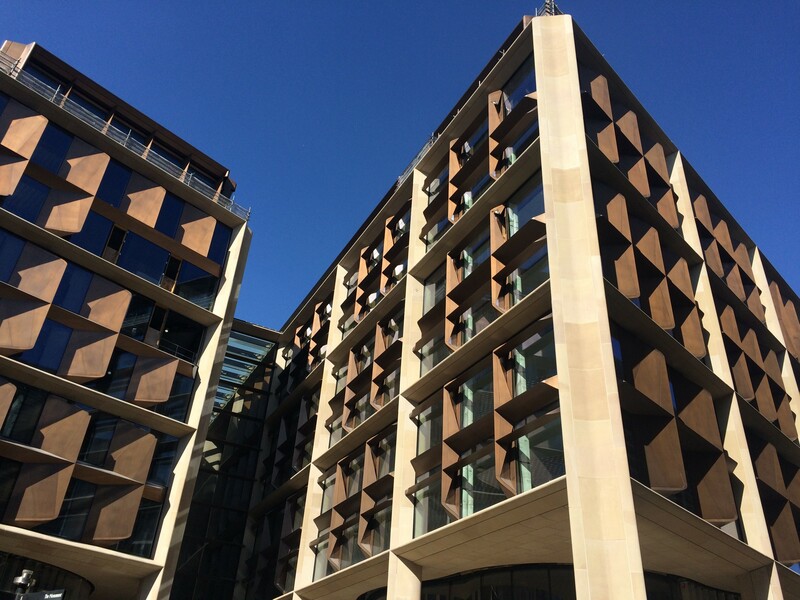 As far as we are aware, the project involved the largest volume of sandstone cladding installed onto any project in post war Britain.